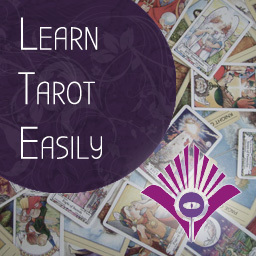 The Tarosophy approach to Tarot is inspired in part by NLP, neuro-linguistic programming, from which many of its unique tarot methods have been generated. NLP is a loose system of attitudes and methods with regard to the way the mind works – particularly through language. The Tarosophy approach is also delivered in readings through the use of language patterns inspired by hypnotherapy. It uses particular brief therapy methods, which could be considered appropriate to a tarot reading which results in changed perspectives or goal-orientated outcomes. 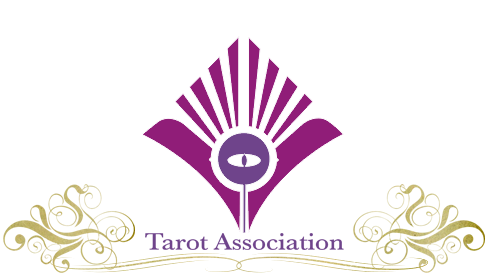 NLP and language patterns are just one aspect of Tarosophy, which also includes intuition, inspiration and illumination amongst spiritual perspectives of our divinatory art. The foundational work of the Tarosophy approach is in the book of that title, Tarosophy, available on Kindle in 3 sections and paperback. 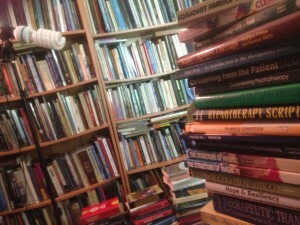 As a trainer of NLP and collector of books over thirty years, here are some of those I regularly recommend to my NLP students and for tarot readers or anyone interested in NLP. As these books span several decades, you may find a few of them out-of-print, or in different formats, editions or versions – so check second-hand prices too, and don’t neglect your local library for any hard-to-find titles. Every subject should have a “book I bought my Dad”, which is a book you can buy for lay-people who will be able to read it and get some idea of what you are doing. The “Book I Bought my Dad” for NLP is Don’t Think of Purple Spotted Oranges by Martin Shervington. In fact, both my Dad and my Son have the original hardcovers of this book, which is now out-of-print. You can pick up a later version for a steal, second-hand, for only a few dollars. The two founders and developers of NLP are John Grinder and Richard Bandler, and I’ve had the pleasure of attending workshops and being inspired by both. They are very different characters and their work has diverged significantly over the decades. John Grinder tells his story of how NLP developed in The Origins of Neuro Linguistic Programming (edited by John Grinder & Frank Pucelik) whilst a fascinating insider story is told by Terrence McClendon in NLP: The Wild Days (1972-1981). 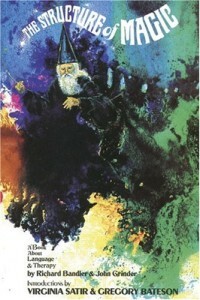 If you want to read the first publications of NLP, they have the groovy 1970’s covers and are called The Structure of Magic I and II, Frogs into Princes, etc. I do not recommend these books for beginners as they are raw, dense and include complex linguistics. However, if you want the original bare bones of NLP, they’re here. These original titles are modelled heavily on the skills of several therapists, particularly Virginia Satir and Milton H. Erickson. 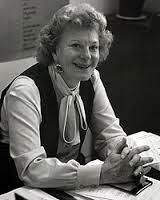 Virginia Satir (1916 – 1988) was an incredible family therapist and possibly one of the top ten most influential therapists of our time . her book Conjoint Family Therapy contains many succinct gems of wisdom for all therapists and counsellors. The section on Concepts of Therapy is a touchstone of my own therapeutic work, particularly her definition of maturation, which she describes as the most important concept in therapy. She writes “This is the state in which a given human being is fully in charge of himself”. 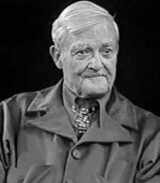 Milton H. Erickson (1901-1980) is widely regarded as the father of modern hypnotherapy. His teaching stories and methods are almost mythic and the most accessible collection of such encounters are to be found in Sydney Rosen’s My Voice Will Go With You. There have been several contemporary books that attempt to distil his approach, the one of which I like the most is Hope & Resiliency by Short, Erickson (Betty Alice) & Erickson Klein. I also recommend The Wisdom of Milton H. Erickson by Havens. A shorter work by a student of Erickson is Taproots, by Bill O’Hanlon. A noted student of Erickson who developed “neo-Ericksonian” approaches leading to his own Self-relations (or Generative) Psychotherapy is Stephen Gilligan. I recommend one of his earlier works, Therapeutic Trances, for those looking to appreciate the roots of contemporary “Ericksonian” methods. Whilst my own approach and that of many neo-Ericksonian practitioners does not heavily use “scripted” material such as inductions, metaphors or interventions, when practising, many students ask for practise scripts. I highly recommend the simply entitled Hypnotherapy Scripts by Havens & Walters which demonstrates many excellent uses of Ericksonian language and metaphor. There are no set texts detailing a standard NLP syllabus, as many trainers develop their own delivery of core material. It has been said that 80% of a small sample of Practitioner courses shared similar material whereas only 20% of material was similar across the same range of Master Practitioner courses. I refer students to two books that contain a reference core for practitioner and master practitioner NLP work, if such could be said, both by L. Michael Hall. For the NLP Practitioner: The Spirit of NLP by Hall. For the NLP Master Practitioner: The Sourcebook of Magic by Hall & Belnap. For a general toolkit for the first months of practice, full of practical and useful methods: Rapid Cognitive Therapy by Philips & Watts. Many hypnotherapists use metaphor work to one degree or another, and Tarosophy is densely populated and rich with metaphor, bridging from not only the tarot cards but the very way the client represents the question. The recommended title for metaphor work is Using Metaphors in Psychotherapy by Philip Barker. I use that book in conjunction with Therapeutic Metaphors by David Gordon and include many other titles on my course material. In recent years I’ve found Clean Language to be incredibly useful and relevant to giving more elegant tarot readings, tailored to the client’s own unconscious structure. It is from clean language training that we created our bespoke method of generating spreads and methods specific to the oracular moment. 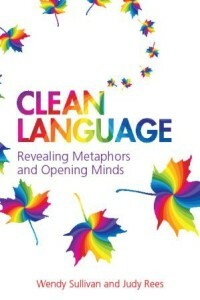 Whilst we will cover this subject in a later post, you can consider Clean Language by Sullivan & Rees as a great starting book. There are several other books I recommend through my NLP and Hypnotherapy courses, which are of practical use to the tarot reader or the therapist. I acknowledge that a tarot reader is not a therapist, nor is given or should undertake that role, however, for therapists who are studying NLP, or tarot readers who are interested in the approach of therapy, these books may prove practical. An Introduction to the Therapeutic Frame, by Anne Gray. Documenting Psychotherapy, by Moline, Williams & Austin. On Learning from the Patient, by Patrick Casement. 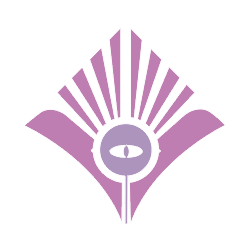 In future posts, we will cover further reading for other significant influences on Tarosophy, ranging from the Oracular Traditions to Psychosynthesis, Jungian Concepts and Kabbalah. Thanks so much for this list. 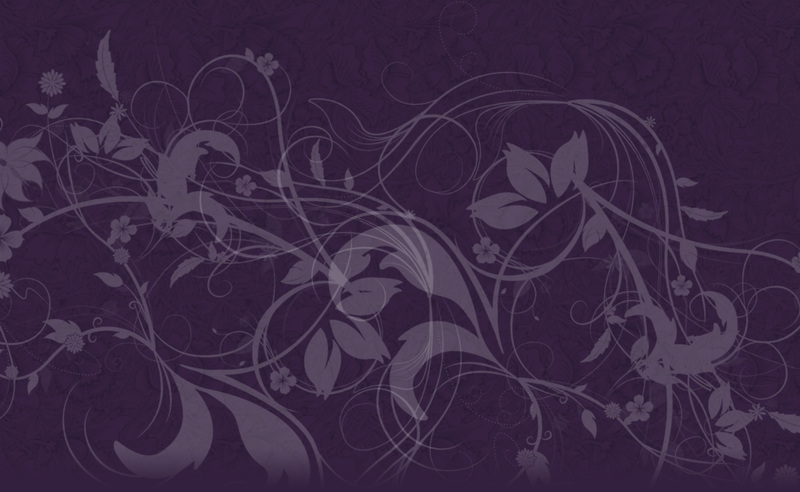 I didn’t understand what NLP was until the class last night, you did amazingly well to get all that info over in 90 mins!